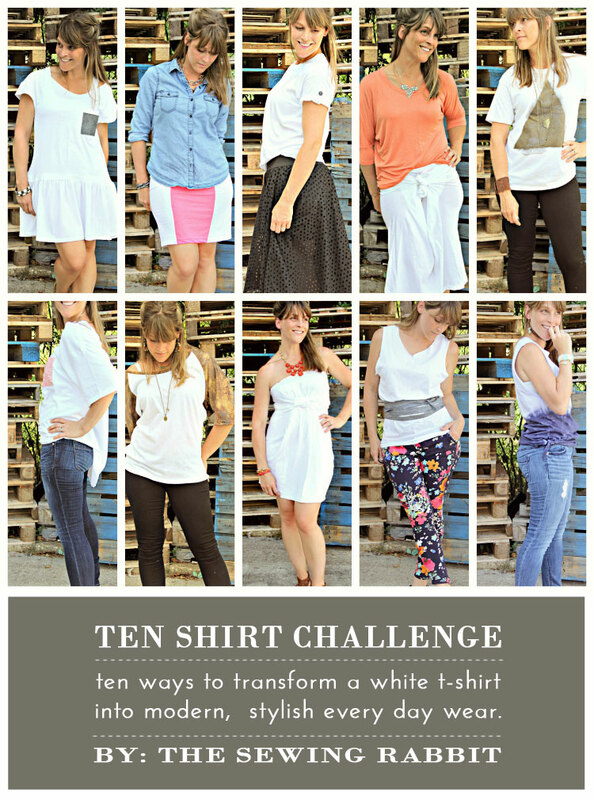 Don’t throw away your old t-shirts! You can always use them for something! 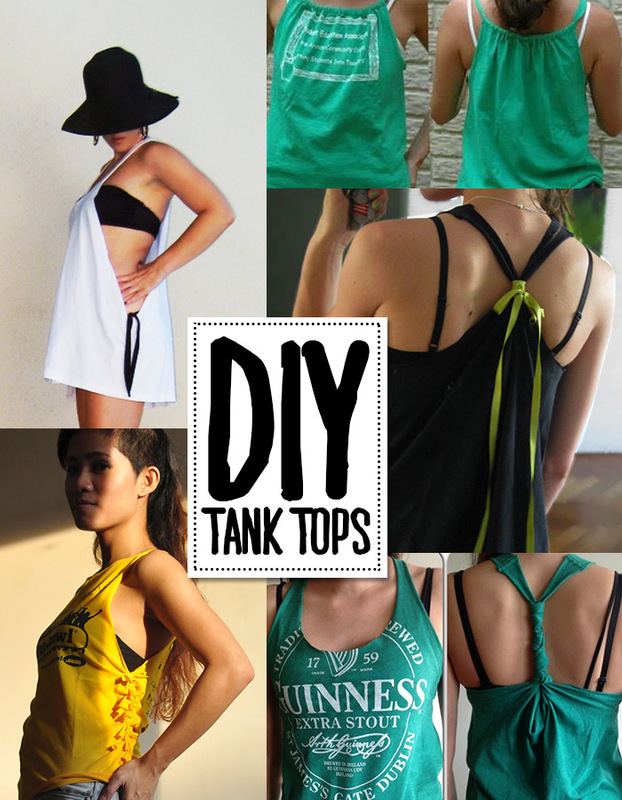 Repurpose, upcycle, reuse! 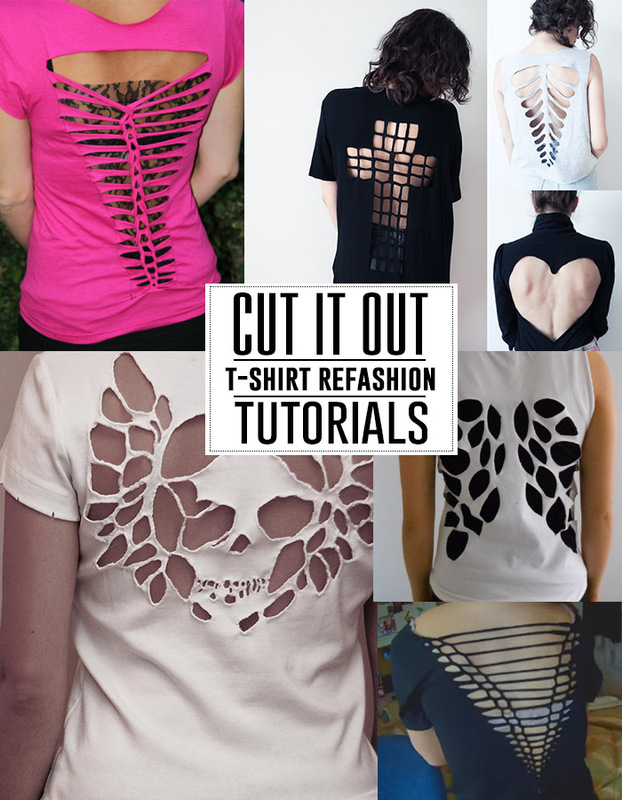 Here are 1o ways (and more tutorials) for how to repurpose a t-shirt. 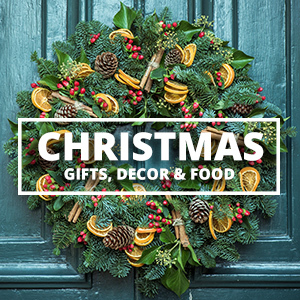 Most of these are no-sew but there are some great sewing options as well! 1. 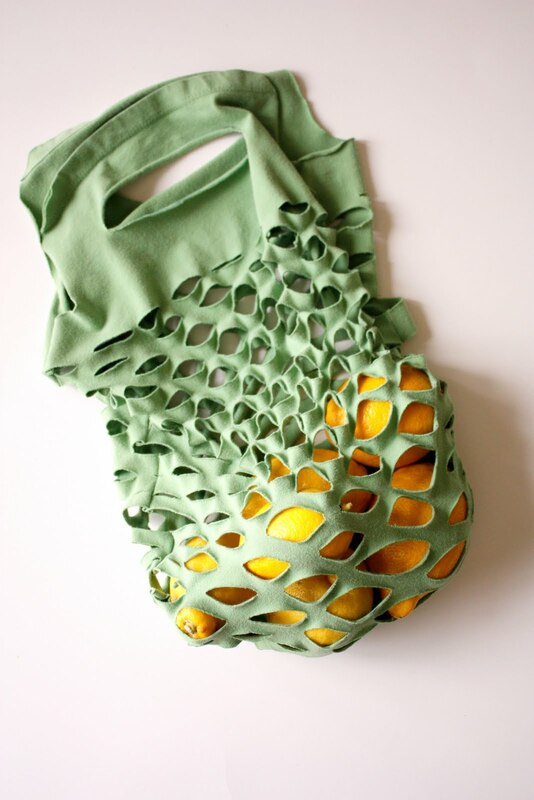 Make a grocery bag. Produce bag tutorial by Delia Creates. 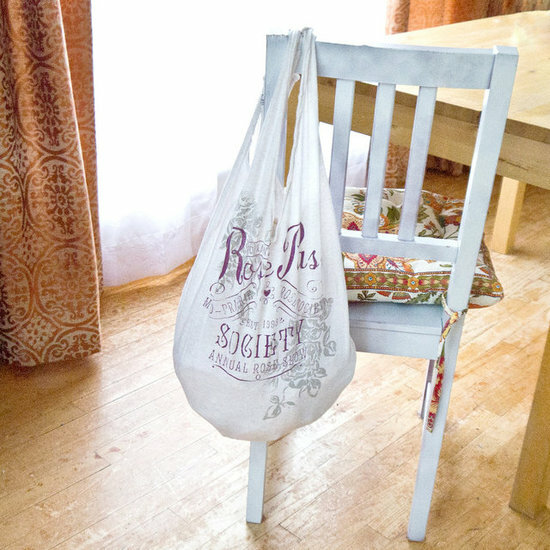 grocery bag tutorial by Pop Sugar. 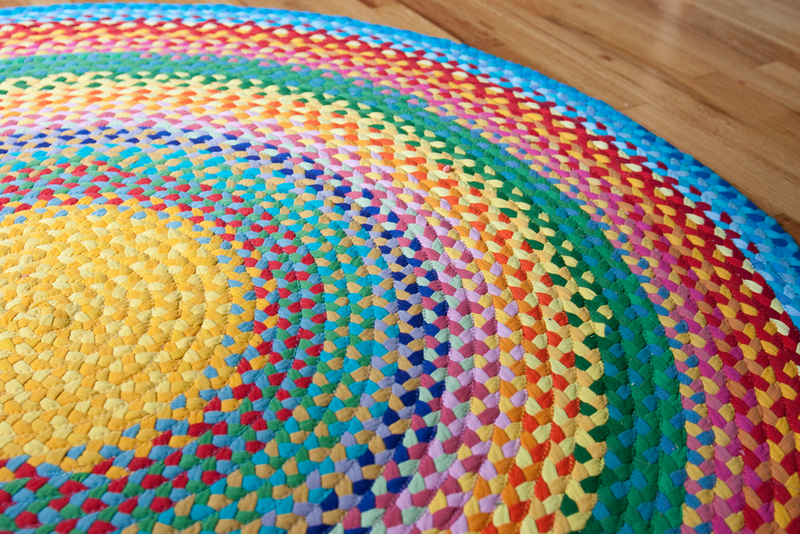 Braided rug tutorial by Sew Liberated. 3. Use them to clean! 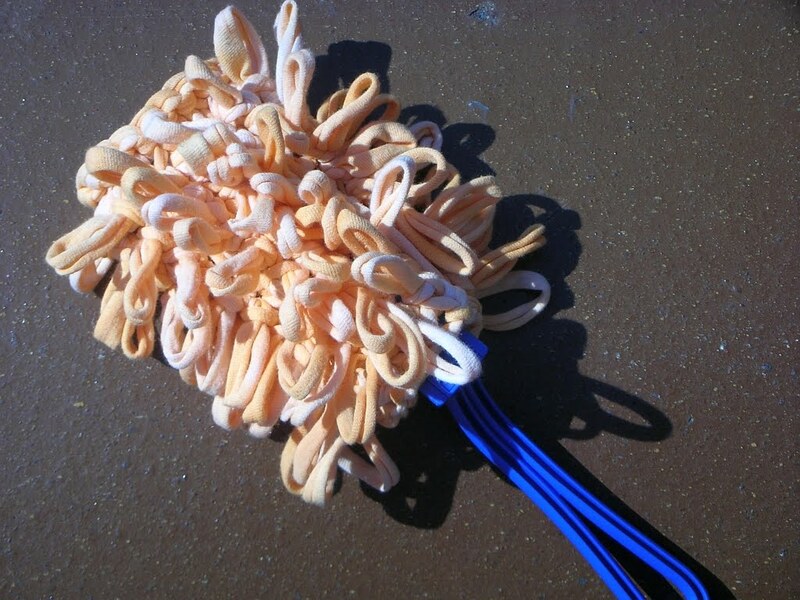 Reusable duster tutorial by Verdigris Knits. 4. 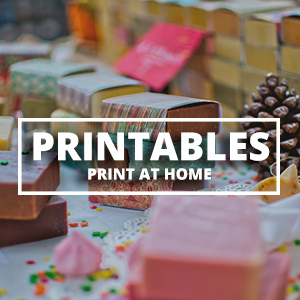 Use them as decor! 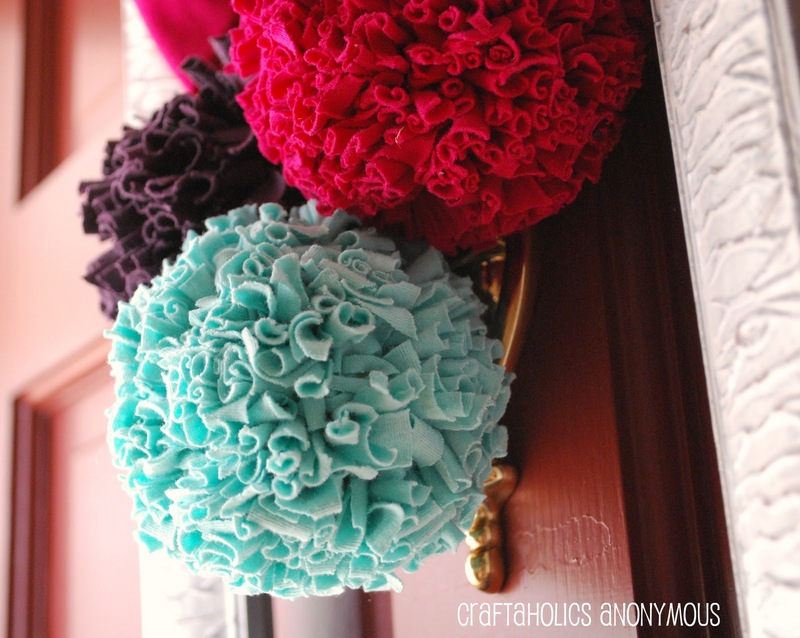 t-shirt pom pom tutorial by Craftaholics Anonymous. 5. 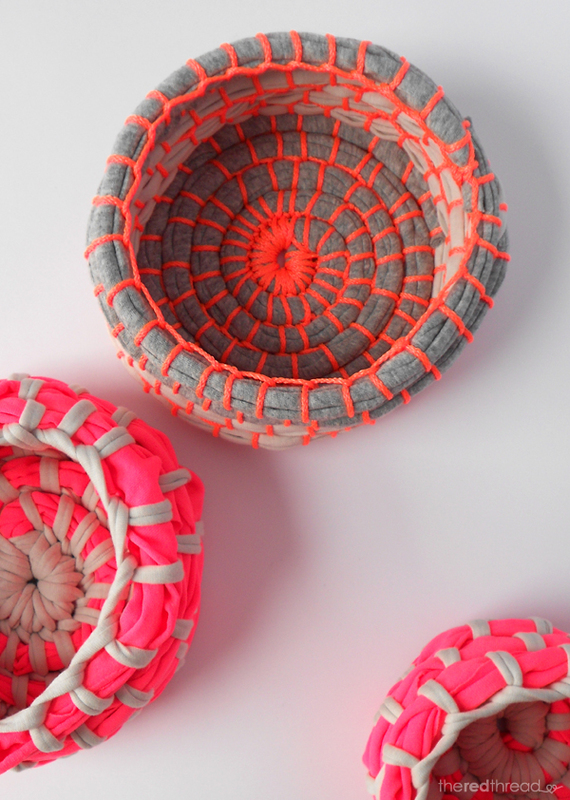 Make a fabric bowl. Tutorial by The Red Thread. 6. 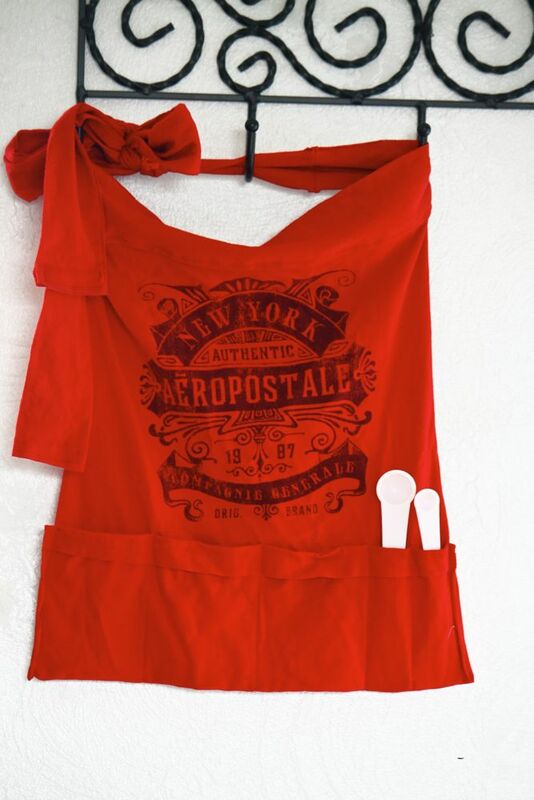 Make a t-shirt apron. 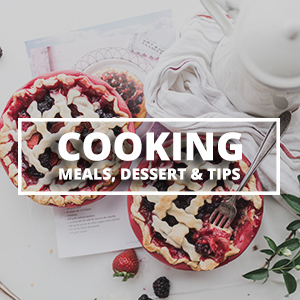 Tutorial by Ruffles and Stuff. 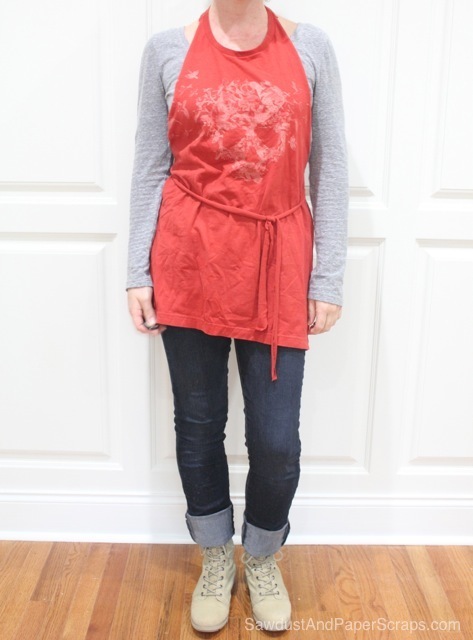 No-sew t-shirt apron tutorial by Sawdust Girl. 7. 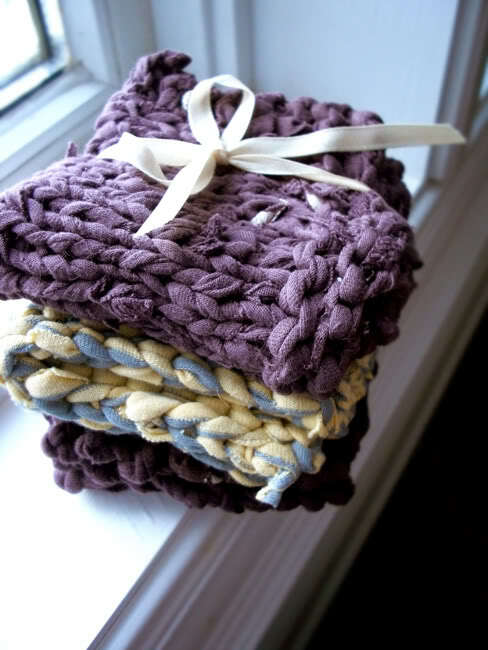 Repurpose t-shirts into dish cloths. 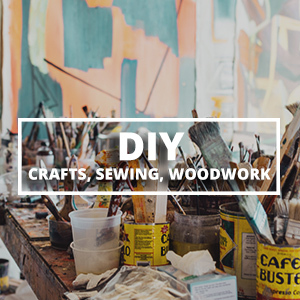 10 tutorials from Me Sew Crazy. 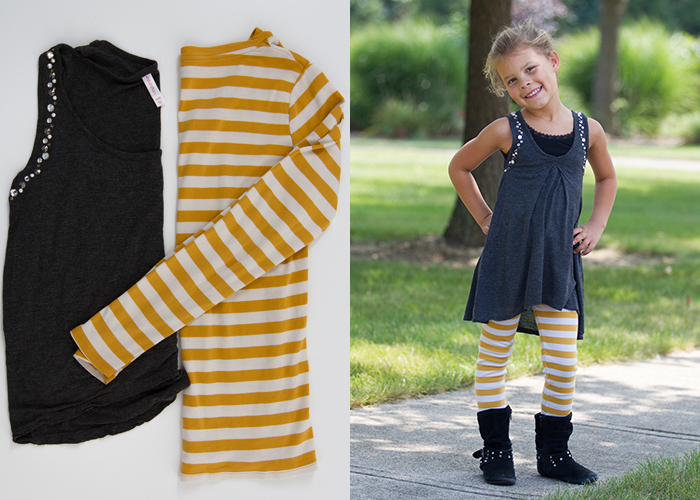 Turn women’s tops into a little girl’s outfit! 9. 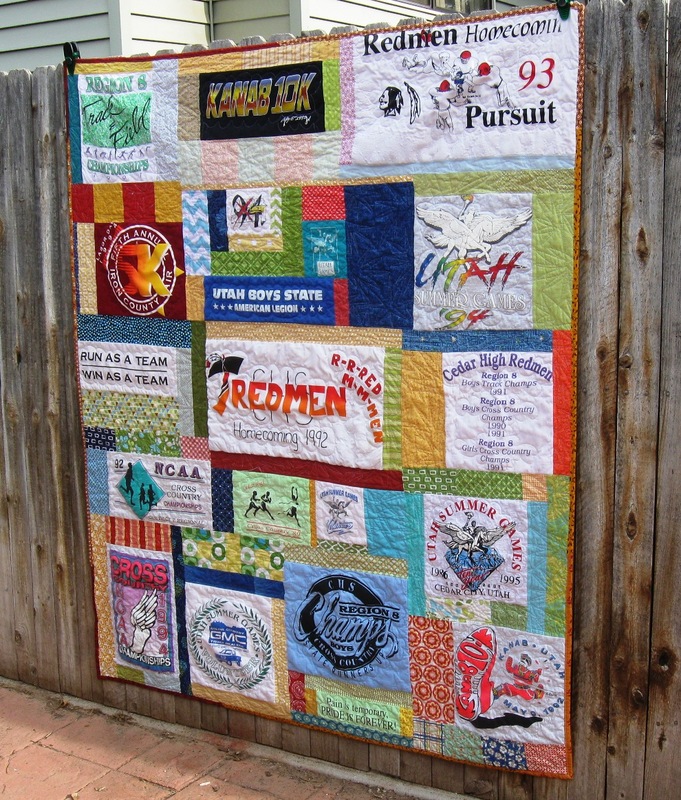 Make a memory quilt! Tutorial by Happy Quilting Melissa. 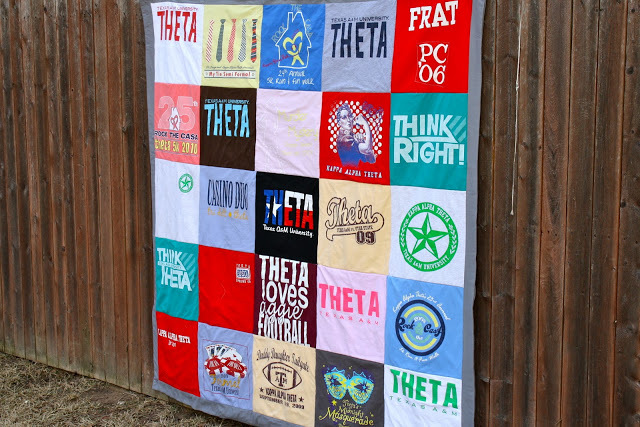 Simple block t-shirt quilt tutorial by Sew Caroline. 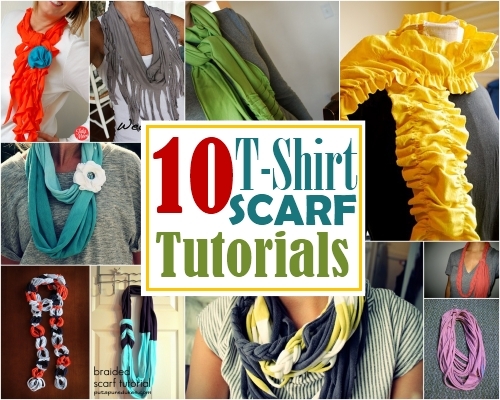 T-shirt scarf tutorials on My Blessed Life. 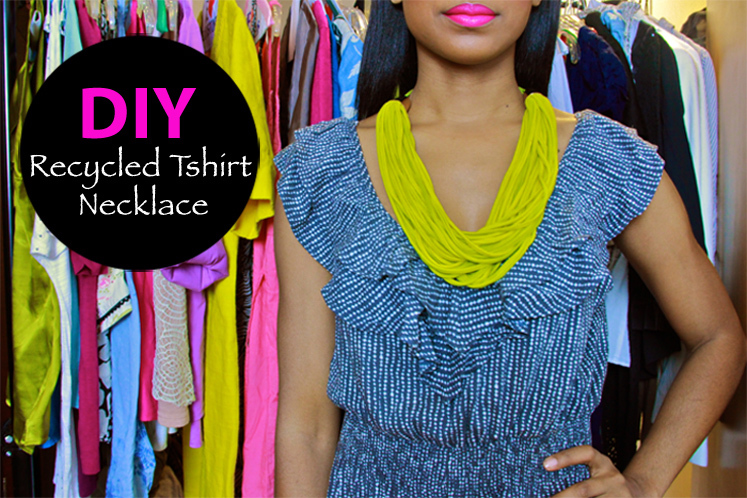 T-shirt necklace tutorial by Frugal Nomics. 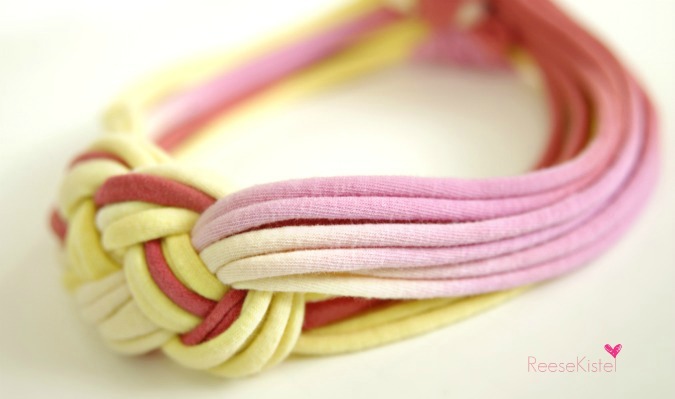 T-shirt knot headband by Reese Kristal. Twist headband by Honeybee Vintage. 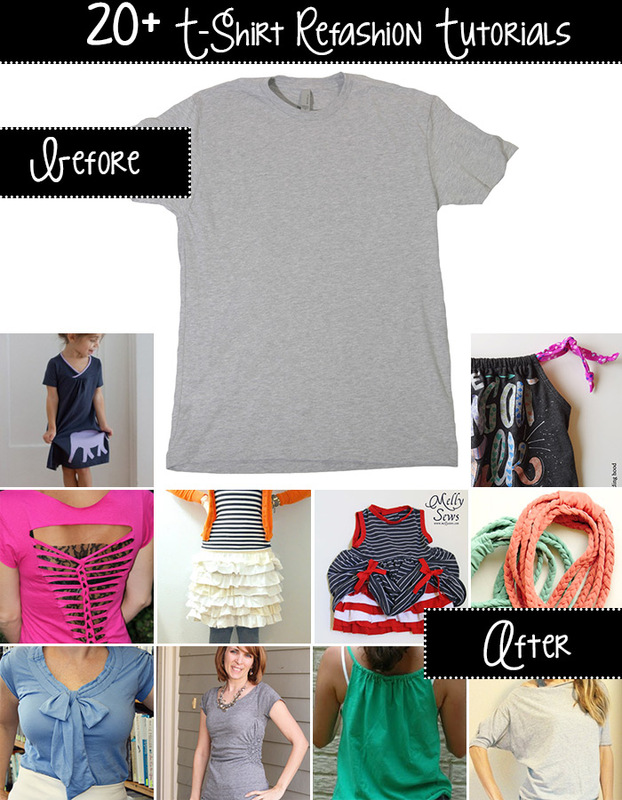 20 great t-shirt refashion ideas. Love what I see and want to see more! What a wonderful and informative post. Thanks for all these wonderful suggestions. Coincidental or what! ?My son has just given me a pile of tee shirts that are either too small or he knows he will never fit into but still liked the pictures on the fronts! He was having a sort out whilst getting ready for University. I suggested I could make a quilt of some kind using the motifs. 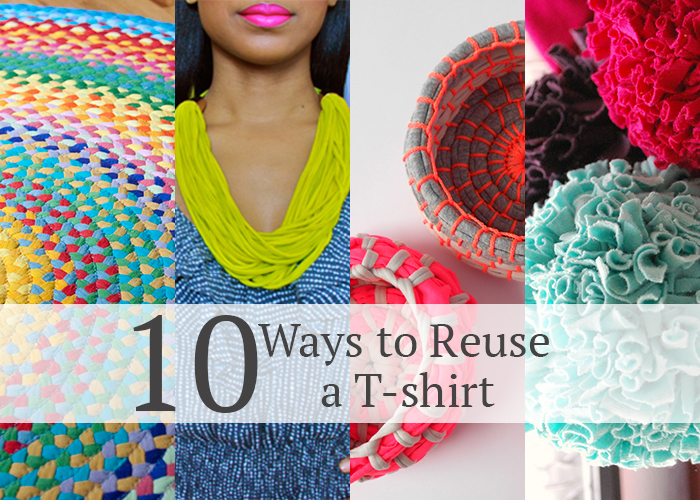 Your links and suggestions for recycling tee shirts will be very useful, thank you. I will share my creation on my blog Mycreativelypottylife.blogspot.co.uk when completed. 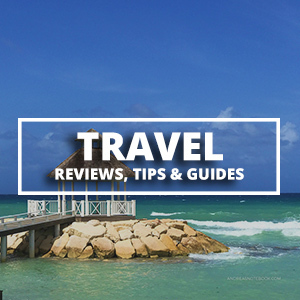 Please feel free to pop over sometimes to see what else I’ve been up to.